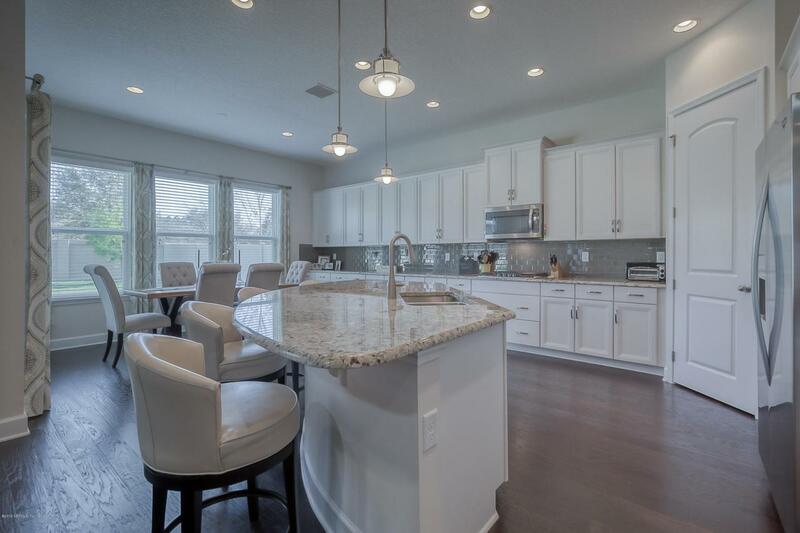 This is Nocatee's Greenleaf Lakes living at its finest and is in St Johns County. Get ready to be in awe with this home. The entrance will grab your attention with the elongated foyer with stunning wood floors throughout and high ceilings. 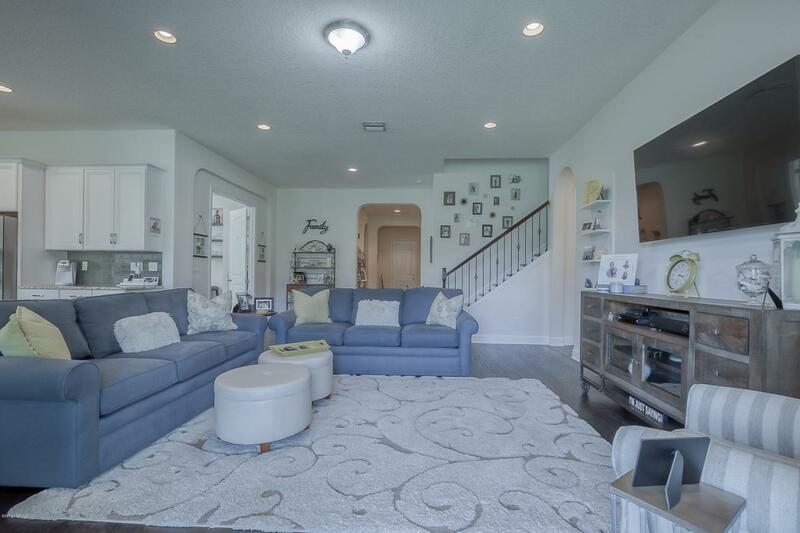 This home features 5 bedrooms and 4 full baths. The kitchen is one only seen in magazines. The amount of beautiful white 42'' cabinets will be something you have not seen before finished with brushed nickel hardware. The island is large enough for six people. It is also finished with granite countertops, gas stovetop, and double ovens. All appliances are stainless steel. The downstairs living includes the master bedroom, three secondary bedrooms and an office/ den with double french doors and built in book shelves.The master suite is quite large with lots of natural light with all the windows and the master bath has his/her vanities with granite countertops, a soaking tub, as well as a large tiled shower with frameless doors. Head upstairs with the upgraded wood stairs with beautiful iron spindles. Here you will walk in to the great loft space and an amazing bonus room/5th bedroom. This space also has its on bathroom with a massive tiled shower of its own, The secondary bathroom are finished with quartz countertops. Enjoy the outdoor living with the screened lanai and great backyard plenty large enough to add your own pool. Don't forget this home also offers a split 3 car garage. 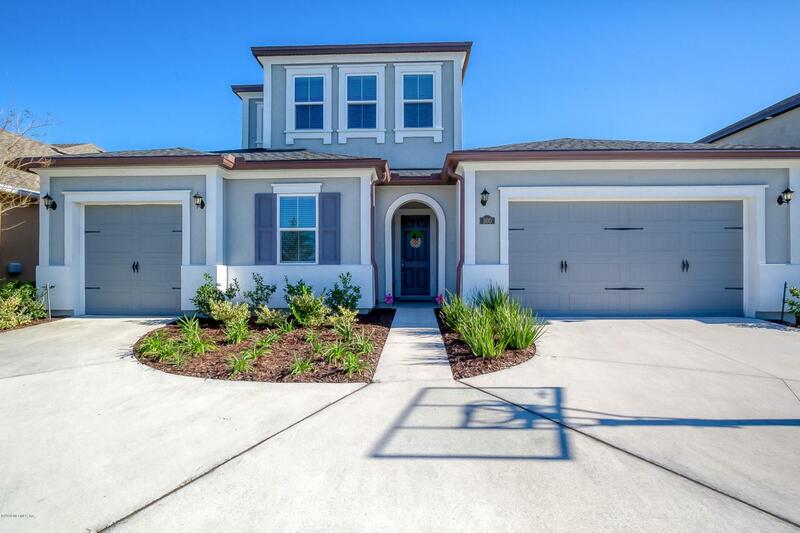 This home is convenient to all that Nocatee has to offer as well as the beach and highways.